Shane Byrne will head-off from the first position on the grid tomorrow with a blisteringly fast pole lap that was some three tenths faster than anyone else in the field. 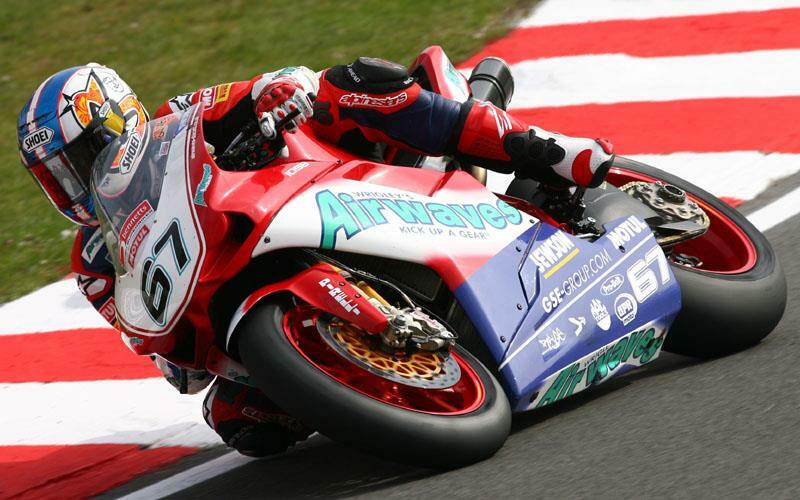 Byrne set a best of 1:25.832 in cold temperatures at Brands Hatch, just 0.7 seconds off Jonathan Rea’s qualifying lap of last year in more favourable conditions. After the race Shane ‘Shakey’ Byrne said: “We thought pole would be a 1:26.9 - I thought it would be difficult to achieve anymore with the cold track conditions. “I’d love to get a double win tomorrow now – it would be a perfect way to start. With black clouds looming all afternoon, the heavens opened with just five minutes of the session remaining meaning nobody could challenge the fast time of Byrne that he put in just minutes before the rain hit. Cal Crutchlow overshadowed his team-mate Leon Haslam with a second quickest time of 1:26.155 ahead of the Karl ‘Bomber’ Harris who has been ultra fast all weekend, and the second of the HM Plant Hondas. Tom Sykes upheld the honour of Suzuki to head off the front of the second row on his Rizla Suzuki ahead of Leon Camier on the second of the Airwaves machines. Simon Andrews maintained his great run of form this weekend with the seventh fastest time on his Jentin Yamaha, and Northwest 200 Ducati’s Michael Rutter completed the front two rows with a 1:26.974.